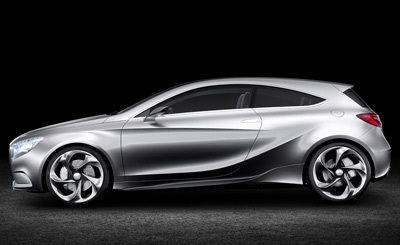 The Mercedes Concept A-Class was a preview of Mercedes' next-generation small car. 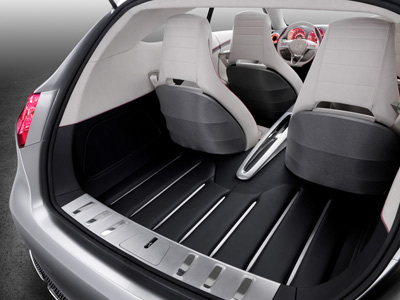 The exterior design of the Concept A-Class features a styling theme that Mercedes-Benz first showed in the F800 Style concept. That means there are plenty of sharply defined curving surfaces which provide lots of interesting shadows and highlights. 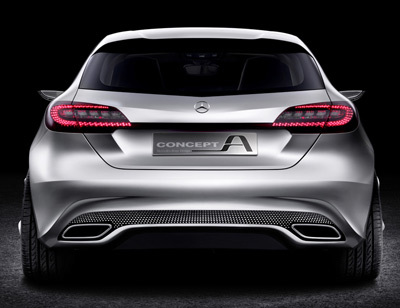 The front end of the Concept A-Class displays the Mercedes-Benz star logo surrounded by what looks like a star-filled sky. Where there are usually openings or louvers, the radiator grille houses numerous metallic silver hexagons on black stems. This theme is reflected in the design of the 5-spoke wheels. 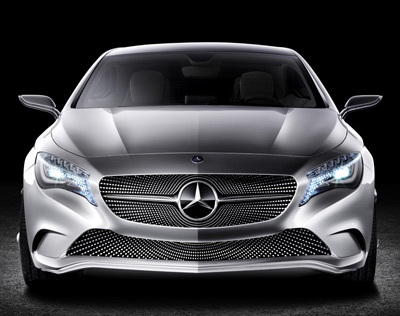 The daytime running lamps of the Concept A-Class consist of 90 optical fibers with aluminum sleeves which are arranged in a wing-shape within the headlight. 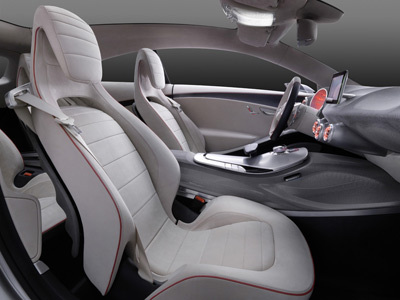 The interior of the Mercedes Concept A-Class is defined by a dashboard which has been styled after the shape of an aircraft wing, with a translucent, stretchable fabric lining. 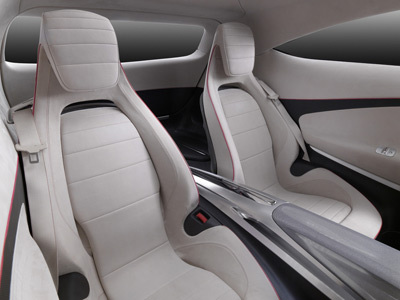 This enables the bionic, cellular structure of the dashboard to remain visible. The shape of the air vents in the dashboard are reminiscent of a jet aircraft. The prominent dials in the instrument cluster are colored red, inspired by the afterburner of a jet engine. The center console is designed as a modern flight control panel, with the shift lever designed as a "reverse thrust control". 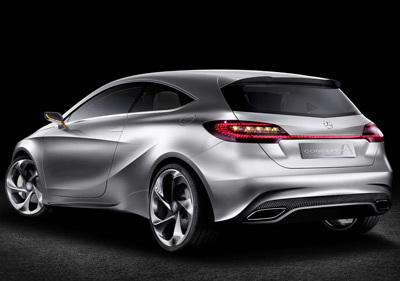 Powering the Mercedes Concept A-Class is a 210 horsepower, 2.0 litre 4-cylinder gasoline engine from the new M270 series. It was designed for transverse installation and thanks to direct injection and turbocharging, offers high performance together with minimal emissions and fuel consumption. 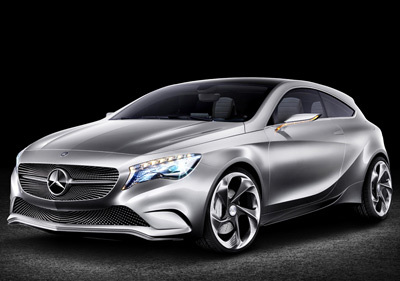 This BlueEFFICIENCY engine is mated to the new Mercedes-Benz dual clutch transmission.